If you follow this blog, you know I recently had to say goodbye to my beloved 13 year old Siberian Husky, Kona. It was one of the hardest things I’ve had to do. The days that followed included many tears. I was comforted by the love and support of friends, family members and readers who reached out to me – online and in real life – with beautiful cards, messages, prayers and stories of losing their own furry family members. A few short days after our last moments with Kona, I received a card in the mail from my wonderful veterinarian office, Topsham Veterinary Wellness Center. It was a lovely card with personal, handwritten notes from the people that took care of Kona in the last year of his life. It meant a lot to me to receive this card. Dr. Amy, Alan and Katie were the only people that really understood what we went through with Kona during the last few months of his life. We had some hard discussions in that vet office. It was a slip of paper in that card that made me cry the most. I’m not sure if they were tears of joy or sorrow. Maybe a bit of both. It was simple piece of paper with a picture of Dr. Amy’s dog, Roxie. Below the picture was a message that explained that they had donated money to Roxie’s Angel Fund in honor of Kona. 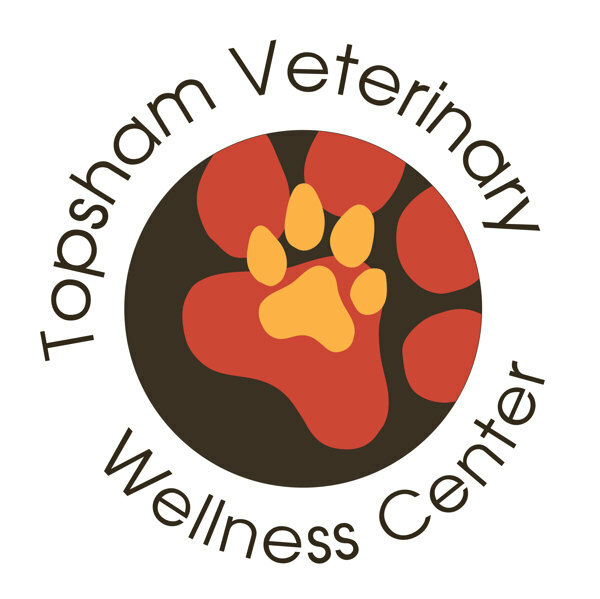 Roxie helped out at Topsham Veterinary Wellness Center. Unlike Kona, he actually liked cats and small dogs. Amy lost Roxie shortly before we said goodbye to Kona. In those last moments of Kona’s life, Amy sat with us on the ground and cried with us. She told the story of Roxie’s last moments and let G take “one more picture” several times before Kona closed his eyes forever. I am eternally grateful to Dr. Amy and her staff for the way in which they handled Kona’s care. Each donation goes into the fund under the deceased pet’s name. The goal is for the fund to help future clients who need financial assistance to take care of a pet in need. The slip of paper noted that Roxie would be happy to know she is continuing to help pets in need even in heaven. I’d like to think that Kona is too. In a way, Roxie is not only helping pets in need, she is also helping the parents of those pets feel a bit of solace during an otherwise difficult time. See? Even dogs can give back. How has a dog touched your life? p.s. As I was scheduling this post, I found out that Saying Goodbye to a Family Pet, my tribute to Kona, was published on Yahoo! Voices. Take a read, if you haven’t already. Love this so much. It is the worst thing in the world when you have a pet that you can not care for properly due to financial hardship. I am so happy to know of funds like this one that help people in this difficult situation. The gesture really uplifted me. Having had 3 dogs at once, I know how expensive their care can be! 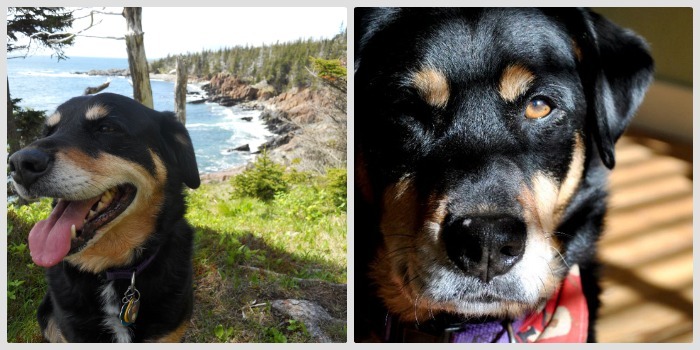 I lost my dog, Boston, a few years back and I cried so hard. A beloved family pet becomes a repository for all that is good in your life and the loss of that is always sad. It really hit me and Matt hard since he was with us from the beginning. It was nice to see him honored in this way. Aw, the legacy lives on. So amazing. Roxie was beautiful, and so was Kona. My friend’s dog was hit by a car a month ago and the surgery to save him was $8,000. She started a donation page and was about to get to $6,000. The dog is now running and jumping again like it never happened. I just love knowing people are taking pets seriously as living, breathing family members who need good medical care. Tamara recently posted..I Got You Babe. That’s so great, Tamara. $8k is a huge bill. It’s amazing how kind people are when you ask for help. My other husky, Kailua, needed surgery on both his knees a few years back. It was tough financially, but worth it in the end. Well now I’m just bawling. We just lost our 17 year old cat and it’s been so hard. (And I can’t even think of how I would cope with losing our dog. I can’t even start down that path or I will be a mess all day) To know that you had this wonderful doctor who was so fantastic with Kona and your family…I’m just so glad. So sorry to hear about your cat, Lisa. 17 years is a long time! That must have been super hard. It is nice to have someone who is passionate about caring for our beloved pets. I’m holding back the tears right now. SO sweet! I love when vets love their job and love to help other pets in need. I would comment longer, but I’m at work and about to cry like a baby. Sorry about that, Ashlee! It’s amazing to work with someone who is so passionate and caring for what they do. Refreshing really. Wow, your vet sounds amazing, and the Roxie’s Angel Fund is such a wonderful idea and tribute to all of the four-legged angels that touch our lives. Love this! It really made me feel happy knowing that in Kona’s death we were helping other dogs. I also know how hard it was for Amy to say goodbye to Roxie. A lovely way to honor them indeed. Oh my goodness, reading this brought tears to my eyes. What a wonderful, sweet thing. My vet did the something similar a couple years ago when I lost a kitty: donated in the name of research to help animals. They will continue to take great care of Hana and Kailua and whoever else might join our furry family in the future, for sure!